The words ‘Lucky’ and ‘Pig’ are not often found in the same sentence, but the Lucky Pig pokie from Aristocrat is based on the Chinese horoscope, where good fortune is all-important. It’s a 5 reel game where instead of a set number of paylines, wins come whenever 3, 4 or 5 of the same type of symbol land on reels in an unbroken line running from the left side. Aristocrat have christened this ‘Reel Power’, but what players should know is that there are 243 different ways to line up symbols for a win, which should see lots of smaller payouts as opposed to just a few bigger ones. Pokies themed around Chinese traditions are something of a speciality for Aristocrat, and Lucky Pig is presented in the gold and red colours that seem to dominate the genre. It can be found at many land-based casinos, although currently not online, and can be played for just 0.30 per spin, although this won’t activate all of the reels, which limits the amount that can be won, so higher stakes are needed by anyone wanting to land 4 or 5 of a kind wins. A stylish picture of Chinese temples and mountains outlined against a setting sun forms a background image, while the actual reels are framed in gold and the Jackpot Reel Power sign on either side tells players that there are some major prizes to be picked up along the way. The happy pig isn’t actually on the reels, but simply oversees the game, and this golden Buddha-style creature adds a bit of colour and humour to evrything. 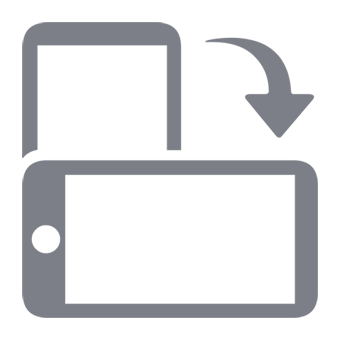 The playing card symbols from 9 through to A will award the smaller and more frequent prizes, while the picture symbols are all very typical of games that follow this theme and include Ming vases, fireworks, golden bowls and Chinese letters. Those letters are a wild symbol, but as we shall see, not the only one. Landing on reels 2 and 4 only, this wild works by substituting for any other symbol if it’s then possible to create a winning combination, or extend a 3 of a kind win to an extra reel. On the middle reel, there’s a crown symbol that’s a second wild during normal play, but becomes a jackpot feature in the bonus games. Golden dragon-shaped door knockers will open up a bonus game, but not before paying out multiple times the triggering bet when they land in any 3 or more positions. 10 free games are awarded, and throughout them there’s extra crown wilds added to the middle reel, so extra chances to get a win when it substitutes for anything else. The really important job that this symbol does during the free spins however, is triggering the jackpot round when it completes a 5 of a kind winning combination. It doesn’t matter which symbol takes up the other 4 reels, as long as the crown creates a win, players are prompted to touch a crown symbol to spin the reel again. This will bring up a multiplier amount that can boost the value of the triggering win by up to 10x, but if another crown symbol appears in the position picked by the player, instead of a multiplier amount, they win any of the 3 jackpot prizes. These are not the biggest jackpots ever seen, but even so, anyone scooping the Grand prize should walk away with a few thousand Dollars, so it’s no hardship to pick a crown symbol and see what happens. There’s a guaranteed multiplier anyway, so this round of Lucky Pig is sure to end up in a prize of some sort. Will Players Bring Home the Bacon? 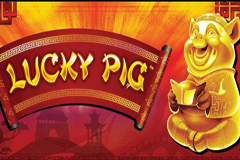 Lucky Pig follows what many would say is an over-done theme, but there’s certainly an audience for Chinese styled pokies and Aristocrat have added yet another to their popular range. It’s got fairly standard symbols with the notable exception of the crown on reel 3, which is the icon that makes Lucky Pig stand out. In the free spins game, the extra crowns should help to create some nice wins, but with just 10 spins awarded, it’s far from guaranteed that a 5 of a kind win will trigger the jackpot round, so anyone expecting this to happen each time is going to be disappointed. But this is still an attractive pokie that has a lot going for it, and players shouldn’t ignore these colourful reels at the many casinos where games from Aristocrat are carried.